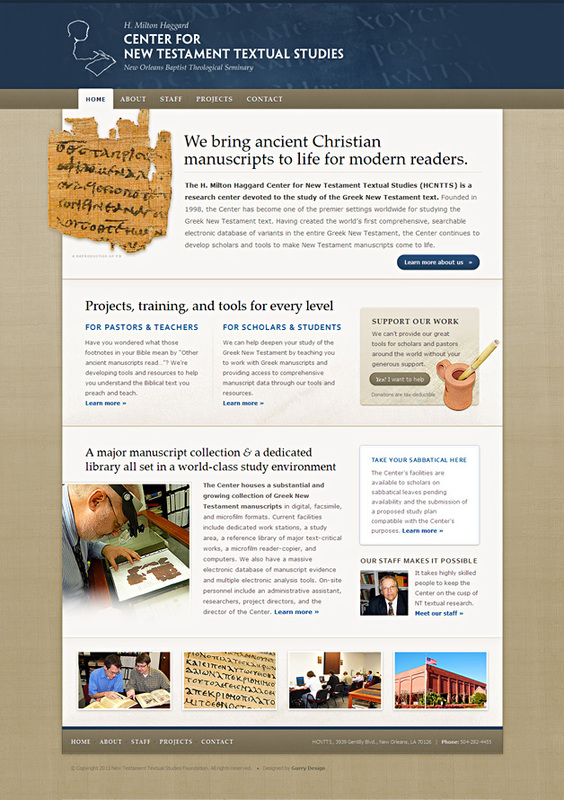 Hypertext meets ancient text in the design for the Center for New Testament Textual Studies website. 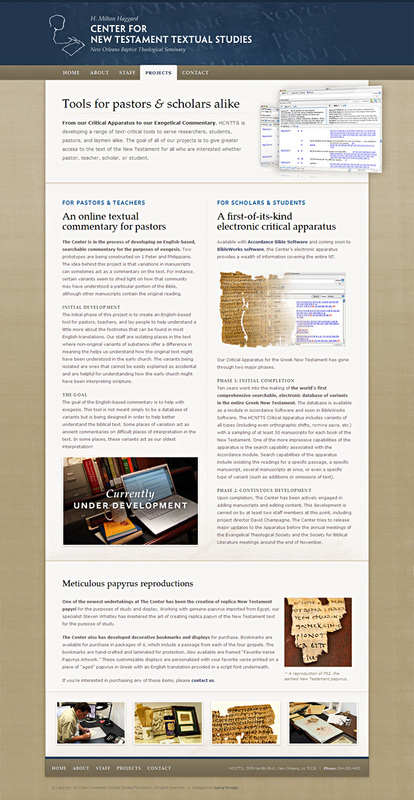 This unique study center on the campus of New Orleans Baptist Theological Seminary is on the forefront of New Testament textual studies. 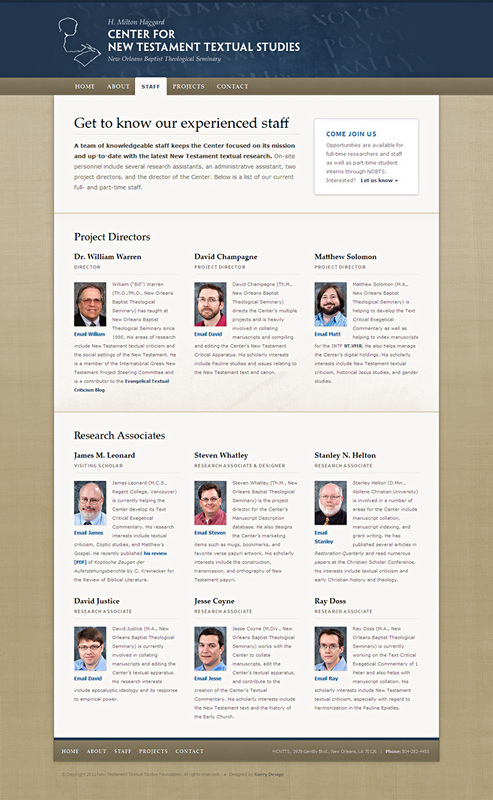 Their website needed to showcase how their careful work can benefit two groups with different needs: scholars and pastors. A crisp design and clear copywriting helped ensure that both groups were well-served.